Two men wanted for bank robbery in Connecticut were nabbed while sleeping at the wheel in a stolen car parked near the East Branch Reservoir Tuesday by members of the Putnam Sheriff’s Dept. Vance Coffin and Vincent Rollins, both 50, residents … Please login below or purchase a subscription to the Putnam County Courier to access this content. Kent Police are being credited with saving the lives of two 31-year-old Lake Carmel men who overdosed on heroin. In one of the two cases, Officers Steven Gasparrini and Steven Kelleher were dispatched to a resident on Roslyn Road early Wednesday mor… Please login below or purchase a subscription to the Putnam County Courier to access this content. In a striking new turn in the debate about disclosing the identities of the 11,000 people in Putnam who hold pistol permits, a lawsuit filed in U.S. District Court asks that Putnam County be compelled to keep the names and addresses private. If suc… Please login below or purchase a subscription to the Putnam County Courier to access this content. What a party! 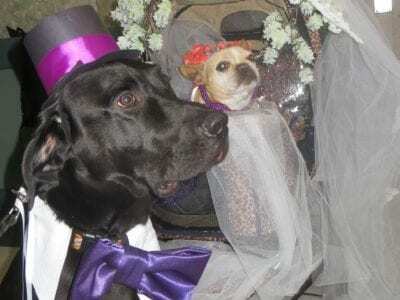 Dozens of patients at the Putnam Nursing and Rehabilitation Center in Kent experienced a once in a lifetime opportunity Friday when Fanee and Bonzo tied the knot. Fanee, an eight year old bulldog owned by Amy Barry, and Bonzo, a… Please login below or purchase a subscription to the Putnam County Courier to access this content. Caucuses, campaign literature, speeches and delegates took over the hallowed halls of Brewster High School last weekend when the school’s Model U.N. Club conducted its own presidential race. Students assumed the role of GOP and Democratic lead… Please login below or purchase a subscription to the Putnam County Courier to access this content. The Putnam Courthouse became a sea of purple last Thursday during a ceremony remembering victims of domestic violence. 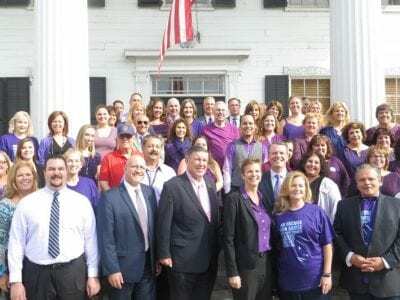 The steps of the historic Putnam Courthouse in Carmel became a sea of purple Thursday when dozens of county officials and employees… Please login below or purchase a subscription to the Putnam County Courier to access this content. 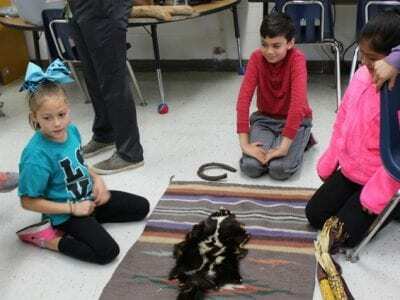 Mahopac students learn to barter the old fashioned way during a visit from a naturalist from the BOCES Madden Outdoor Education Center in western Kent. 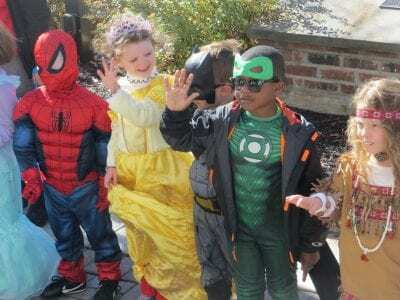 Students at the Fulmar Road Elementary School in Mahopac took a trip back in time last week when n… Please login below or purchase a subscription to the Putnam County Courier to access this content. Teachers Jessica Talreja and Philomena Ruggerio offer snacks to the officers of the CHS Language Club officers Katherine Monroe, Alyssa Nastasi and Stefanie Guggisberg. The tradition began 40 years ago when former Carmel High School language teacher … Please login below or purchase a subscription to the Putnam County Courier to access this content. A gathering in Brewster sponsored by the Southeast Museum in conjunction with the Brewster Public Library includes a procession along Main Street past the Old Town Hall and will highlight Putnam’s 2nd annual Day of the Dead ceremony Saturday. … Please login below or purchase a subscription to the Putnam County Courier to access this content.